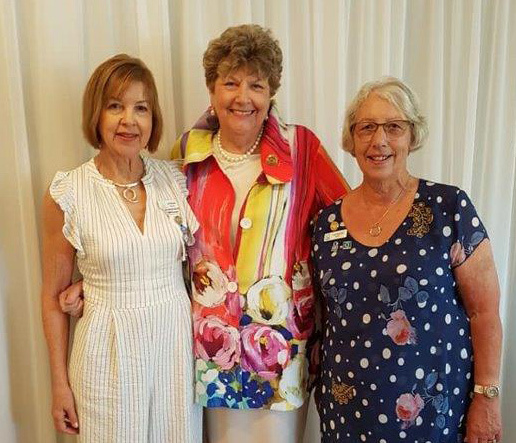 Photo from left to right – International Vice President Jan Rhodes, Dame Wendy Pye, Region 21 Director Lois Watson. 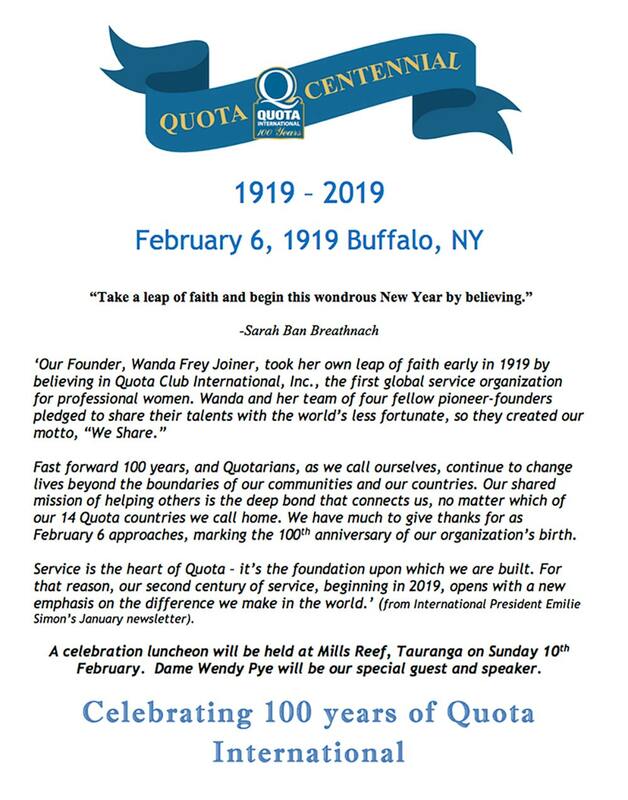 Quota International, Region 21, celebrated 100 years of service at Mills Reef Winery in Tauranga on Sunday 10th February. Over 60 Quota members and past members attended including special guest and speaker Dame Wendy Pye. Go to our Facebook page Quota International Region 21 New Zealand for more photos and information. 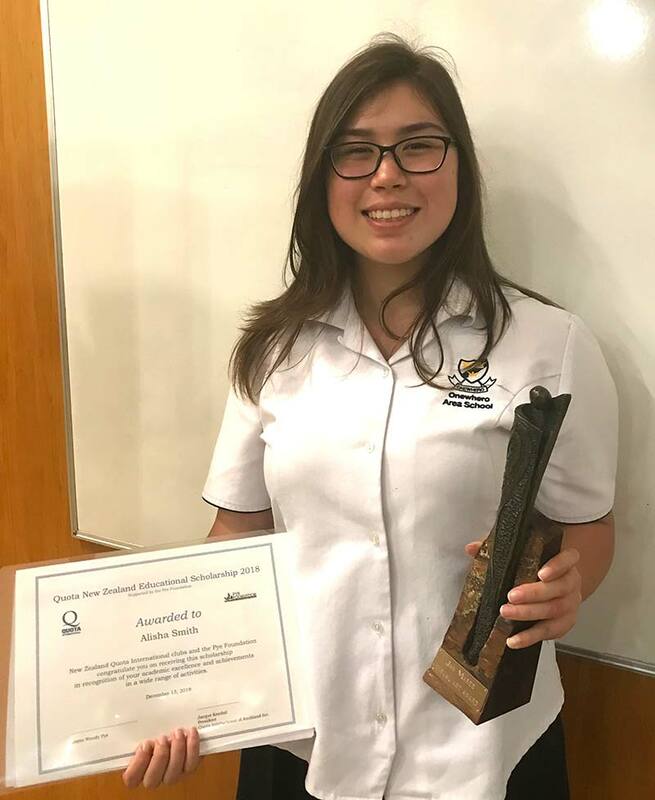 Congratulations to Alisha Smith, winner of the 2018 Quota New Zealand Educational Scholarship. Alisha is already a very talented artist and loves web design and animation. She will be enrolling for a Bachelor of Design Innovation at the University of Wellington in 2019. Alisha has worked very hard at her studies at Onewhero Area School, achieving excellent results, while coping with many personal problems. She has used her art to work through her emotions and hopes to use her artistic skills to help others. Quota International and the Pye Foundation are very happy with our choice of Alisha as the 2018 Scholarship winner and wish her every success with her future studies.